Have some old paint kicking around? 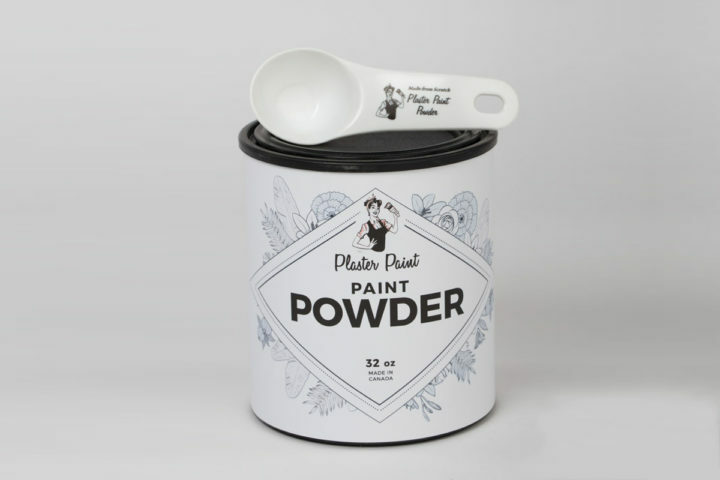 Plaster Paint Powder can turn any water-based latex matte-finish paint into rich, creamy plaster paint. 32oz of Plaster Paint Powder makes up to four quarts or one gallon of any color Plaster Paint. For smaller projects, mix one scoop to one cup of any color of matte-finish latex paint. Miss Jewel’s Plaster Paint Powder can turn any water based latex paint into rich, creamy plaster paint! You can use any water based, latex, matte paint. In case you were wondering if it is really as simple as we say it is. Wipe and clean any dust/dirt off your project. Paint the first coat and let dry (approx. 25 minutes). A thin coat works best. Paint a second coat, if desired, and let dry. If you would like to continue to a distressed shabby finish, use a moist natural sponge, a damp cloth, or a sanding block, and remove paint where you would like base color to show through. Finish by applying one of Plaster Paint’s amazing sealants.